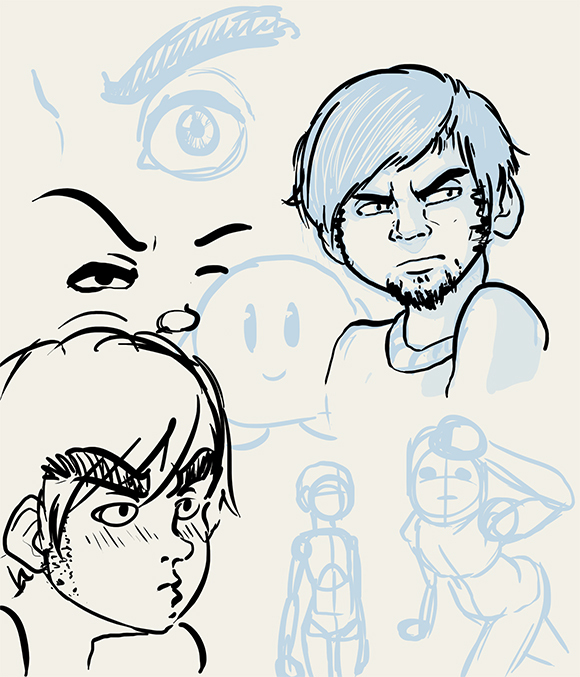 More doodles from a skype conversation. 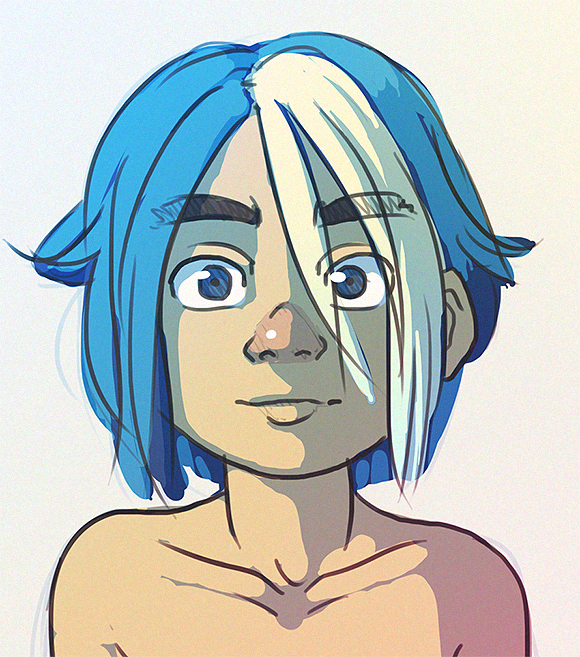 I think my brain almost wants to jump back into coding again, but for now I'm just trying to have any sort of creative output. The Special Edition of Indie Game The Movie just came out, and it includes a bunch of extra stuff not in the original release. 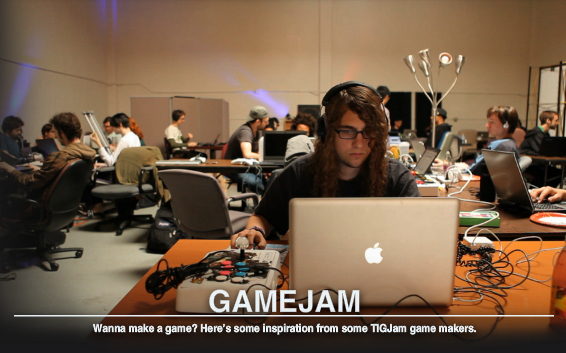 One of those special things in the special edition is a piece put together about game jams. It was shot at TIGJam in 2010, and I managed to sneak my way into the footage. They even used me as the thumbnail for the segment, yay! I unfortunately don't have the capacity to listen to or watch myself on screen, so I have no idea what I say or do in the segment, but I hear it's not terrible. You should definitely check out Indie Game The Movie if you haven't seen it yet. 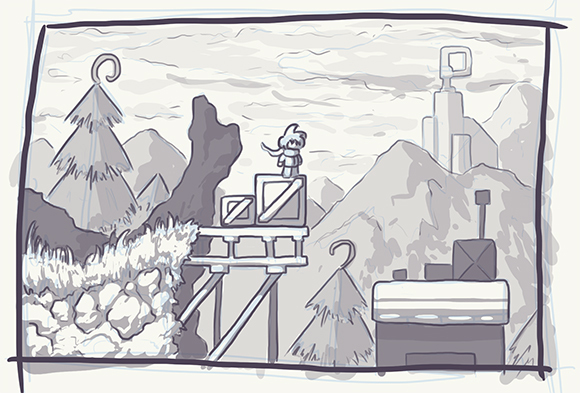 It's one of the best looks into the wild world of independent game development in my opinion. 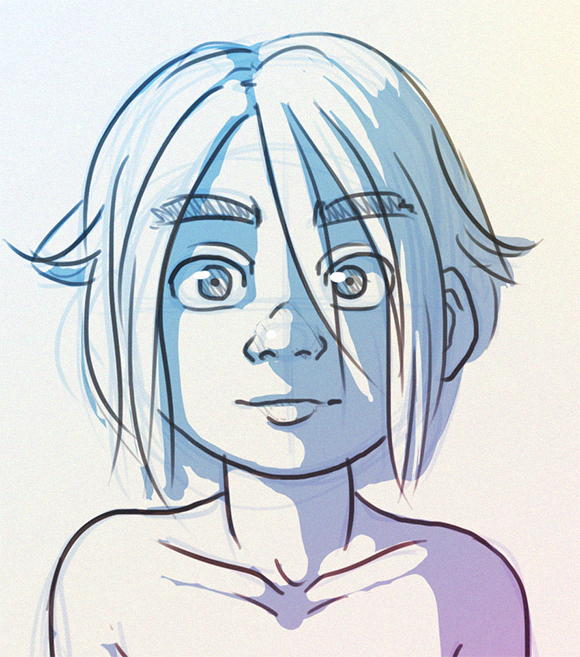 Trying to get back into the productive groove. Sickness and post-travel have turned my brain into mush. On Monday I returned from the hellish nightmare that is Las Vegas where I was attending EVO, the largest fighting game tournament in the world (I think!) It was pretty crazy as it always is, and I'm totally exhausted from being in Vegas for four straight days. EVO has an indie games showcase now and my friends at Team Colorblind were demoing Aztez for the EVO crowd once again. The indie game showcase featured a bunch of awesome titles ranging from competitive multiplayer games to single player action beat-em-up combo-centric titles. TowerFall and Samurai Gunn I think were my favorite multiplayer games at the show. On Saturday night I started to feel a little sick but I fought it off for the rest of the Vegas stay with food and ibuprofen, but on the drive home on Monday I felt pretty sick. Monday night I got hit hard with a fever of 101 and I spent most of yesterday slowly climbing my way out of the depths of the "Evola" virus. There were a handful of people wearing face masks at Evo, so I wonder if they were already sick or were expecting the Evola. Attending EVO every year is something I really look forward to. I used to just tune in on the live stream, but when I realized that it's not actually that far of a drive to Vegas I made it my mission to be in the EVO crowd every year. It's a totally different experience to be a part of the huge crowd during the finals day, and even just walking around the room during the pools play. I really recommend any fan of fighting games make it out to EVO if they can! It's a pretty awesome experience even as just a spectator. Since I just got back from the fighting game world championships, I'm itching to play some fighting games again. If you want to throw down at some Super Street Fighter IV Arcade Edition ver. 2012, then add me on Xbox Live kpulv or on GFWL xxerus. It'd be cool to have some people to play with every once and awhile. I played a little bit on MANvsGAME the other night and it was a lot of fun! Okay I'll get back to making a game now I guess. It's that time of the year again: Steam Summer Sales! Check out all the madness, but first you should totally check out Offspring Fling is just $3.99! The deal lasts for the entire duration of the Steam sale, and plus Offspring Fling has Steam Trading Cards and I hear those are cool! Unfortunately Offspring Fling probably isn't going to make it into one of the featured slots that the cool games get into, so I'm relying on a near 0 dollar budget in marketing to get the word out. If you want to share the news of this amazing sale with your pals on the internet I would really appreciate it! With that, I am off to Las Vegas for the weekend! I'm going to be attending EVO, the crazy huge fighting game world championships. I'm heading out there with a bunch of the Arizona indie developers, and a few indies from around the continent. There may be a small dry spell of posts while I'm gone.